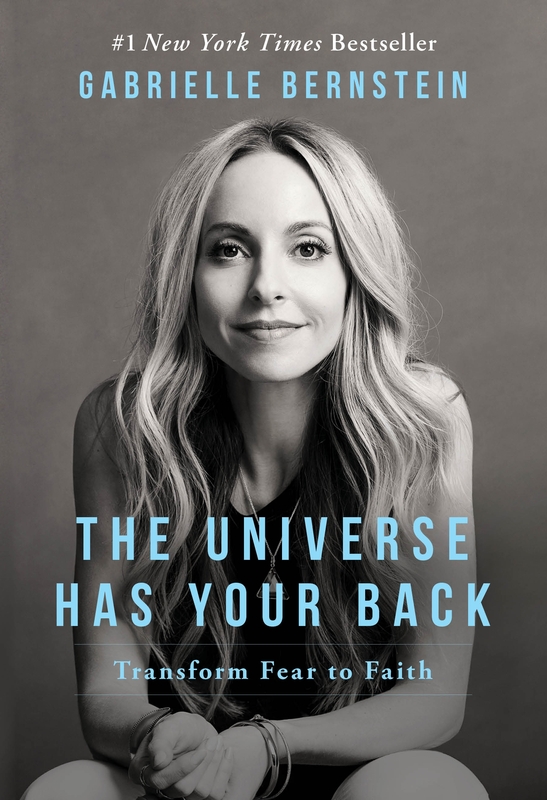 I want to share five powerful universal lessons from my #1 New York Times bestselling book The Universe Has Your Back. If you are thinking about reading this book, get psyched! It’s going to guide you to transform your fear to faith so you can live a miraculous life. Here’s a sneak peek of what you can expect from the book. Watch the video below and then keep reading for a breakdown of each universal lesson! Universal lesson #1: The Universe will always conspire to lead you toward solutions of the highest good when you open up to receive them. What it means: When you start to lean into what is of the highest good FOR ALL, the Universe will lead you right to those solutions. It’s your choice, your simple decision to choose the highest good for all, that calls in this this guidance. Universal lesson #2: The Universe is always responding to the energy behind your beliefs. What it means: Whatever you believe is what you receive. It’s time to get clear about how your belief system might be mucking up your experiences. In this book, I’ll give you beautiful lessons, meditations and exercises to shift your beliefs and live the way you want in the world. Universal lesson #3: Our happiness is a direct reflection of how quickly we restore our fear back to love. What it means: This is what the whole book is about — transforming your fear into faith. As you incorporate these practices and principles from the book into your life, you’ll strengthen your ability to come back to love quickly. We all detour into fear. But we don’t have to get stuck there. Universal lesson #4: Reconnecting with your power begins by realizing that you lost it. What it means: When you lean into fear or judgment or doubt, or get stuck in the ego’s belief system, you lose your power. But when you recognize that you’ve lost that spiritual power, you have the capacity to reconnect with it, and you allow the Universe to support you once again. Universal lesson #5: The path to certainty requires a profound desire to be free from fear. What it means: Knowing that the Universe has your back and that you’re supported by this energy field requires a fierce desire to be free from the limitations of the world. And that is all you need in order to show up for this book: the desire to feel the free-flowing energy of love, inspiration and joy. That freedom is already in you. You just need to remove the blocks to that freedom. That’s when your life begins to expand, elevate and magnetize. If you’re ready to trust the Universe has your back and to have certainty in the midst of uncertainty in the world, grab the book. I’m committed to guiding you every step of the way. And remember, when you order the book you also get my 2-hour Art of Manifesting workshop FREE! Transform your fear into faith today. You are ready. Click here to get The Universe Has Your Back. This comes at a nearly perfect time for me as I am in a bit of a downward spiral. Thank you for the beautiful messages and guidance. I can’t wait to read your new book! I noticed the asterix, thank God. So we have to wait to preorder until after tomorrow to get the gift of the free course? I love that come back rate. <3 5 more days til #theniversehasyourback !! I am so pumped. 🙂 Have so much fun at your book launch in NYC! I wish I could be there rooting you on. I’ve had it preordered for weeks. Can’t wait! Thank you for the sneak preview. I will definitely be applying these lessons this week as I wait for the book release. I am beyond excited to receive your book next week! It couldn’t be a more perfect time. Also was that an orb at 4:21? ?